Part 1 -How an all natural diet and healthy lifestyle can improve your overall health. Studies among people with heart disease have shown that lowering high cholesterol and high blood pressure can reduce the risk of dying of heart disease, having a non- fatal heart attack or stroke, and needing heart bypass surgery or angioplasty. The risk for a heart attack can be reduced through nutrition and lifestyle modifications. Finally, research on nutrition and heart health proves that certain foods can reduce cholesterol and manage high blood pressure. Yes, it can be as simple as modifying your diet! So, what are some of the things you can do today in order to reduce the risk of heart attacks and strokes, as well as manage your cholesterol? Reduce abdominal fat by having a waist circumference below 40 inches for men and 35 inches for women. Get out that measuring tape! Avoiding excessive weight gain — of course, you already know this. Balance calorie expenditure and intake through regular exercise and food portion control. The math is very simple. If you consume more calories than you use, you’ll gain weight. And vice versa. Exercise daily. This will help raise HDL — the healthy cholesterol. Do not smoke! If you smoke, start on a quitting program today. No excuses. Incorporate 5-10 servings of all natural fruits and vegetables per day rich in antioxidants. These include raspberries, blueberries and tomatoes. Do not consume any trans fats — typically found in processed foods with a long shelf life. Consume a minimum of 25g of fiber per day. Fiber helps bind to the bile acids in the blood stream, therefore “eating” away the bad cholesterol. Consume whole grains and avoid processed and refined grains. Limit alcohol. It may be tough around the holiday times, but aim for no more than 1-2 glasses of wine once in a while. Get assessed — have yearly checks-ups to monitor your health. The number one way to help you through weight problems is to practice physical activity and healthy food choices in an environment that will support these positive behaviors. Yes, that’s right — eating well and exercising is pretty much guaranteed to help your weight woes. When attempting to eat a healthier, more natural diet, be sure to avoid processed foods with chemical preservatives that promote unhealthy blood sugar levels and fat build up in the arteries. They are also known as metabolic disruptors, the chemical which slows down the natural processes of the body resulting in weight gain or other health complications over time. Processed food is anything that comes in a packaging of any sort. Toss out those Twinkies! Try to focus on eating a plant-based diet, incorporating lean protein sources such as fish or chicken breast and whole grains, such as oatmeal, brown rice and high fiber/low sugar cereals. Eating out less and cooking from home = success! The CDC Obesity Prevention Department has found one of the leading causes of obesity in our country is the fact that more people are joining the corporate work force, which leads to an increase in meals being consumed away from home. The oversized portions, hidden calories, fat, sodium and sugar in restaurant food are putting weight on us. How do you solve this dilemma? Brown-bag! Bringing your own lunch allows you to control what precisely you’re consuming. If you must go out, order healthier options, such as soups and salads (dressing on the side!). By making changes in your daily diet and activity schedule, you are sure to decrease your weight and improve your overall health. Stress and Sleep- There is endless research available that shows a direct relationship of poor sleep and obesity. It truly only takes one night of poor sleep to negatively affect metabolism. Insulin levels and carbohydrate metabolism are negatively affected the day after one poor night’s sleep resulting in excess fat storage and decreased fat burn according to the Journal of Clinical Endocrinology and Metabolism. Think about the last time you had a poor night’s sleep and try to remember the way you ate the following day, you were probably consuming excess carbohydrates and caffeine looking for quick energy sources. Sure one day of poor sleep will not develop serious metabolic disorders; the problem is many people have learned to live off of low quality sleep. The result is poor metabolism and gaining excess weight, contributing to serious metabolic issues like Type 2 diabetes, adrenal fatigue, insufficient thyroid and the list goes on. As we age we also tend to survive off of less sleep, this is directly related to increased risk of cancer, brain fog and dementia. Ensure you are getting quality nutrients from food and supplementation. 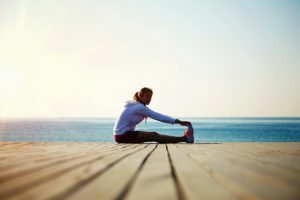 Magnesium has been shown to help restless leg syndrome in addition to a core supplementation program of multi-vitamins, fish oil, and probiotics. If the body is deficient in any nutrients sleep quality will be affected. We all know that diet and nutrition play an integral part in our brain health. The Feingold Diet is a common resource for parents who have children with ADHD, as well as adults who are looking to manage their ADHD. Dr. Ben F. Feingold a prominent pediatrician and allergist, who was the Chief of Allergy at the Kaiser Permanente Medical Center in San Francisco, created the diet. As he worked with patients he suspected of being sensitive to aspirin, he began to notice that they also reacted to some foods and food additives. He found, to his surprise, that not only did some people have physical reactions, but also many experienced changes in their behavior. Although it is well known that stimulants like alcohol, caffeine, nicotine, and recreational drugs can affect behavior, most people don’t consider that food additives may have the same effect. To treat hyperactivity in both adults and children, the Feingold Diet is centered on eliminating unnatural chemicals in food. Results have shown that Dr. Feingold’s diet has been able to help over 70% of his patients with hyperactivity. Food chemicals are not new, but years ago people were only exposed to them sporadically. Unfortunately, today’s children are exposed to harmful food chemicals every day. In order to minimize the amount of chemicals your children consume, be sure to purchase quality, all-natural, additive-free beef, poultry, seafood and produce. In further research, some doctors have concluded that while not all children with ADHD are deficient in omega-3 fatty acids, the addition of omega-3 fatty acids to the diet may be important for some ADHD children. Parents of ADHD children and ADHD adults who wish to utilize omega-3 fatty acids as a method of modifying behavior, should use both flax and seafood sources of these omega-3 fatty acids. DHA — a vital omega-3 fatty acid — is found in abundance in seafood, and appears to be helpful in modifying the behavior of those with ADHD. Protein coupled with complex carbohydrates from grains, fruits, and vegetables comprise the optimum diet for a diabetic. Choosing the appropriate sources of these two components, however, often proves challenging for those with diabetes, especially when it comes to carbohydrates. Fiber is a particularly important element that helps keep the digestive tract in good shape, however, eating white bread or canned vegetables will not only provide negligible fiber but those types of simple carbohydrates serve to increase glucose levels. Recent research suggests a maximum of (1-2) daily servings of starchy carbohydrates due to the impact they have on raising glucose and insulin levels. Instead consuming more fibrous carbohydrates from vegetables and some low sugar fruits like berries will keep the insulin and glucose levels in optimal ranges, allowing the metabolism to function at optimal level. If you must have starchy carbohydrates choose high fiber whole grains (sprouted grain bread, steel cut oats, or quinoa) are considerably more appropriate choices. Keep in mind the longer time they take to digest, breakdown and pass through the body, the better. Sugars —both processed and natural — must be consumed in moderation. The one aspect of diabetes that cannot be overlooked is the need to eat small amounts several times a day; mainly for those who suffer from glucose drops. Without the appropriate levels of proteins and sugars available to the system on a regular basis, a diabetic can quickly complicate his or her condition. 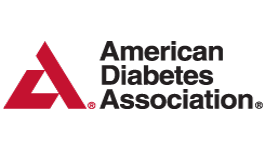 Those who have been diagnosed as pre- diabetic or early stage type 2 diabetes can essentially reverse the effects of diabetes and will be able to reduce the insulin sensitivity resulting in more efficient metabolism and not having to eat all throughout the day. Diabetics have a hard time losing weight because their body is unable to utilize their own fat as a fuel source like it should. The diet of a diabetic who has kidney damage from years of poor blood sugar and insulin control is much different from an early stage diabetic. To avoid any further damage they need to follow a low protein and sodium diet and eventually may have to go on dialysis long term to boost the kidney health and function.